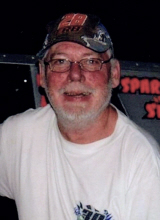 Noble Eugene Farrier, age 62, of Charleston passed away at 12:23 a.m. on Sunday, January 27, 2019 at Sarah Bush Lincoln Health Center. Graveside Services honoring his life will begin at 12:00 p.m. on Saturday, February 2, 2019 at Zion Hill Cemetery with Pastor Ed Stephens officiating. Visitation for family and friends will be held from 10:00 a.m. until 11:45 a.m. on Saturday at Schilling Funeral Home. Casual attire is requested. Noble was born on September 17, 1956 in Glendale, Arizona the son of Gene Farrier and Rozann (Ainlay) Lynn. He leaves behind his mother and stepfather, Rozann (Wayne) Lynn and their daughter, Lacey Lynn all of Mattoon, IL; father and stepmother, Gene (Judy) Farrier of Mattoon, IL; stepsister, Tammy (Les) Dillow and their son, Chase of Arthur, IL; two stepbrothers, Greg Hildebrand of La Vergne, TN and Bob (Janie) Hildebrand and halfbrother, Rick Kerans both of Mattoon, IL and numerous aunts, uncles and cousins. He also leaves behind his life partner Theresa Farris and her family of Charleston, IL. Noble was preceded in death by his grandparents, Noble and Mable Farrier and John and Mary Ainlay; stepsister, Pennie Summer; stepbrothers, Steve Hildebrand and Chad Lynn; and uncle, John Ainlay. Noble worked most of his adult life at CCAR Industries. He was a longtime gatekeeper and friend to everyone at the Coles County Fairgrounds. Noble enjoyed going to races and riding his bicycle. He will be greatly missed and fondly remembered by all those who knew him. Memorial donations in his honor may be given to CCAR Industries, 1530 Lincoln Avenue, Charleston, IL 61920. To send flowers or a remembrance gift to the family of Noble E. Farrier, please visit our Tribute Store. "Email Address" would like to share the life celebration of Noble E. Farrier. Click on the "link" to go to share a favorite memory or leave a condolence message for the family.